It was truly a pleasure working with all of you at heidi elnora. I felt like we became family throughout the wedding planning process. At every appointment y’all made me feel so special and made sure that I love every detail of my dress and veil. The ladies at Heidi Elnora will exceed all of your expectations! I couldn't have asked for a better experience in finding my dream wedding dress. Every one there was so accommodating and I wouldn't recommend any other bridal shop! My experience at Heidi's was so wonderful! From the moment I contacted Liz I knew the experience would be a positive one! I had not looked at a single wedding dress prior to going to Heidi's. It was the FIRST bridal store I went to and it was the ONLY bridal store I went to! The moment I walked in the door everyone was so hospitable and so helpful!!! I cannot say enough good things about my experience there. Liz was so helpful in helping me select which dresses to try on and already had some pulled for me before I arrived based on our discussions through email. I only tried on 3 "shells" before I found THE ONE and then it was all fun from that point on! (well the whole day was fun honestly) Heidi was there that day and sat down with my family as I tried on dresses and different build a bride layering pieces. It was like Heidi was a part of my family and was so calming and helpful. She fit right in with us! It made the whole day that much more memorable! We only had an hour and 30 minute appointment time and we ran over that but not once in the whole process were we rushed or pressured in to buying anything. 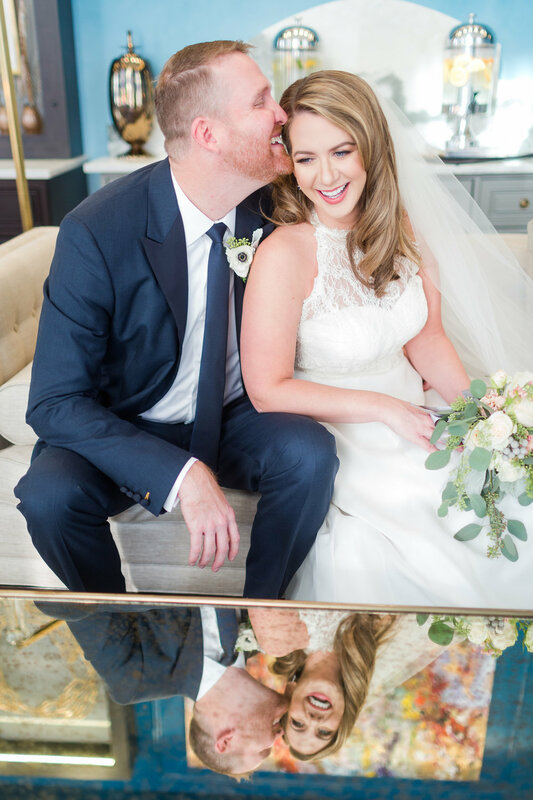 We were so thankful for our time at The Atelier that day and I will absolutely recommend any and every bride to visit Heidi's! The day I found my wedding dress is a day that I will always cherish, nothing but wonderful memories! My experience at Heidi was a dream come true. Elizabeth made my time there such a breeze. I explained the feel of my wedding, the venue, and what look I was going for. She did such a good job at listening to things I liked and disliked. She also encouraged me to try on stylesthat she thought would look good on me, and I ended up falling in love with a dress I would have never picked out on my own. It's everything I could ever want. I highly recommend going to Heidi so they can help you find that perfect dress. The atelier and employees are more than FABULOUS! I had such a great experience and I am so thankful for that. Liz is top of the line and I encourage EVERYONE to work with her! Joy is super helpful and eager to please. Overall: 10/10, full of class, amazing space, Liz is seriously the best at what she does. 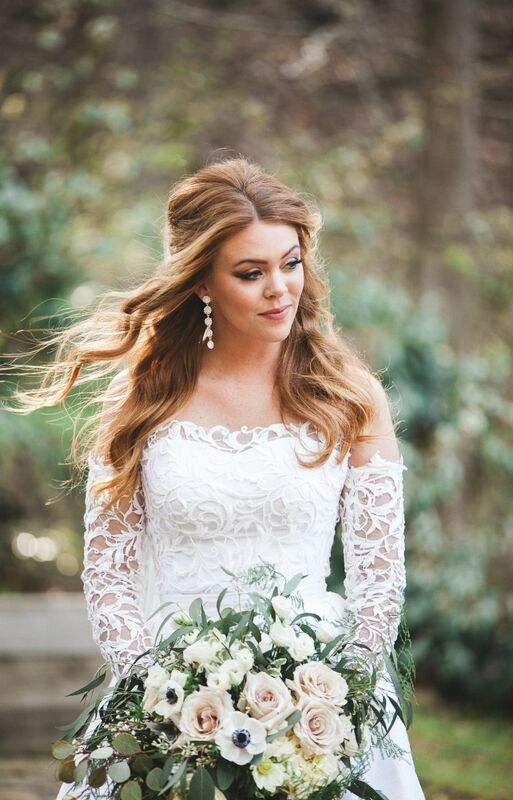 I am so thankful to the Heidi team in helping me find the perfect dress! Beautiful design with intricate details, the dress fit me and my style perfectly! The Heidi team was so accommodating! 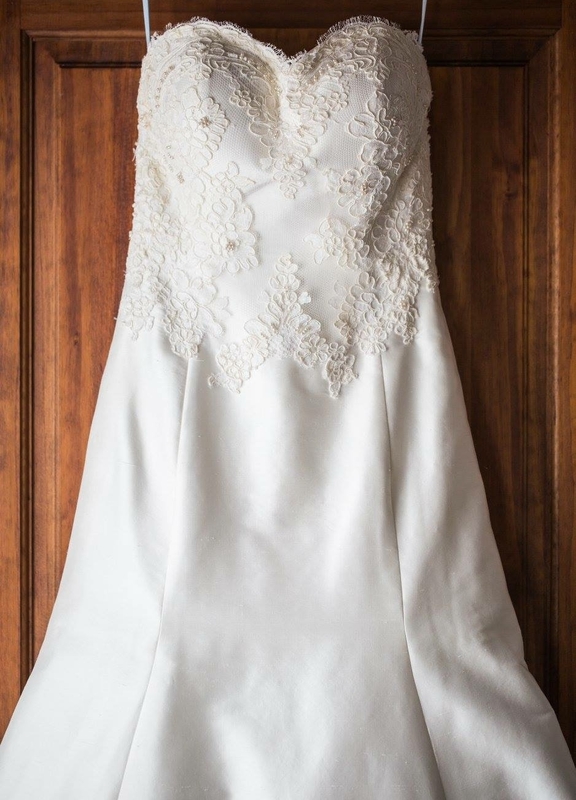 Just two days before my wedding, I called in a panic worried that the lace shoulders would fall during the ceremony. The Heidi team immediately overnighted [sticky tabs] to secure the lace so my day would be perfect! 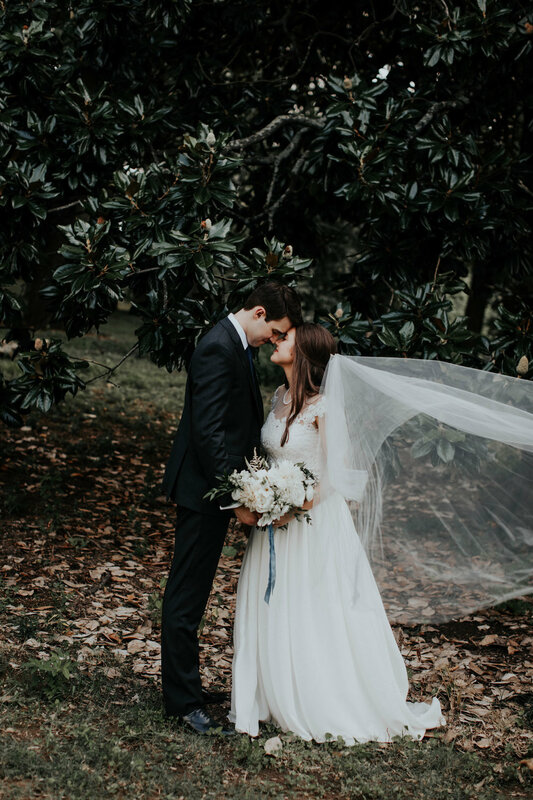 I just purchased my wedding gown from Heidi Elnora Atelier last week and had the most wonderful experience possible. Heidi's team (the unbelievably kind Joy and Elizabeth helped me) are so talented and welcoming and sweet! They took the time to listen to me and wereknowledgeable and patient. I truly can't sing their praises enough. They made me feel so special! 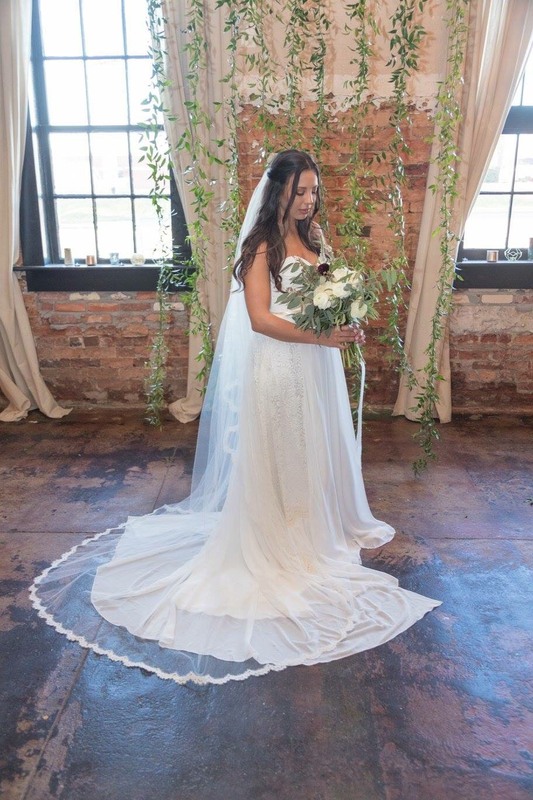 Not only is the Atelier beautiful, the dresses spectacular and unique, but the staff is also completely wonderful and dedicated to making sure you stick within your budget. They helped me pick out an absolutely perfect gown that I can't wait to wear! I would suggest every bride schedule an appointment here, the entire experience was a total dream! I never felt like a customer, I felt like a member of their family! 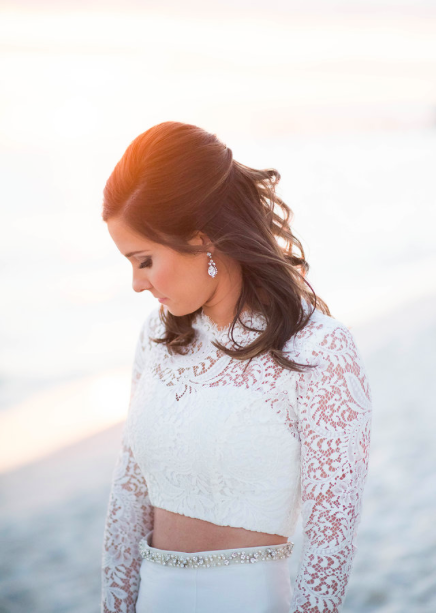 Heidi and her team made finding my perfect dress an incredible, personable experience. Being a little indecisive, I was worried it was going to be a stressful process. I could not have been more wrong. They helped me find exactly what I did not know I was looking for. Laughter filled each appointment and there was never a moment of stress. I was thrilled to become a "Heidi" Bride! Absolute great experience! The ladies were so gracious- Elizabeth and Joy. Elizabeth helped me find the perfect dress for our special day! 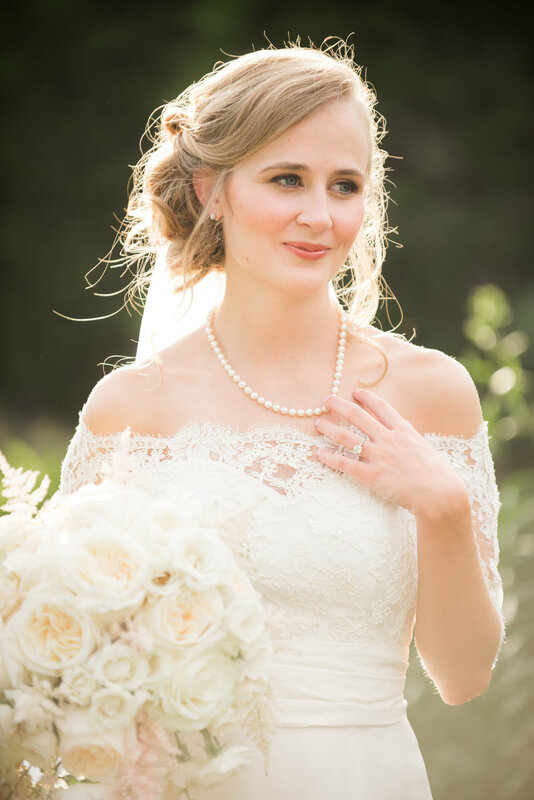 I LOVED my experience at Heidi Elnora Atelier! 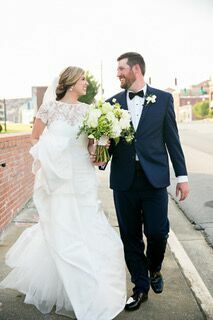 Being the only Birmingham-based wedding dress designer, I knew I had to have a Heidi Elnora dress for my Birmingham wedding. Even with the chaos of a sample sale day, Heidi herself took her time to find me my perfect dress. The rest of the team did a great job of making me feel special and valued as a bride. I can't wait to come back for my alterations! Heidi and her staff are amazing to work with. When I was searching for my dress I had felt very overwhelmed at other places and they made this experience so easy and fun! They truly make you feel special and a part of the family! They made me get so excited for my wedding and not to mention all of the dresses are stunning. The entire experience was perfect!! 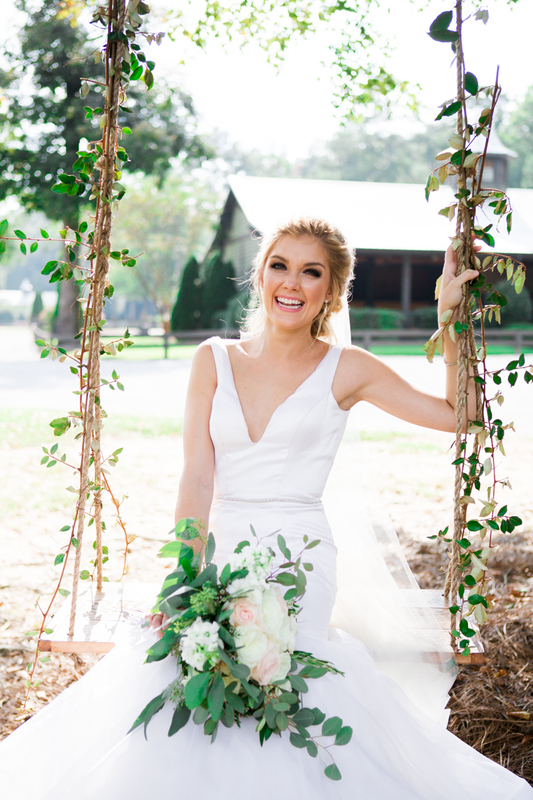 Working with everyone at Heidi Elnora to create the wedding dress of my dreams was magical! Heidi’s and my design was brought into flawless reality, and Liz and the whole staff made me feel so special during the entire process! 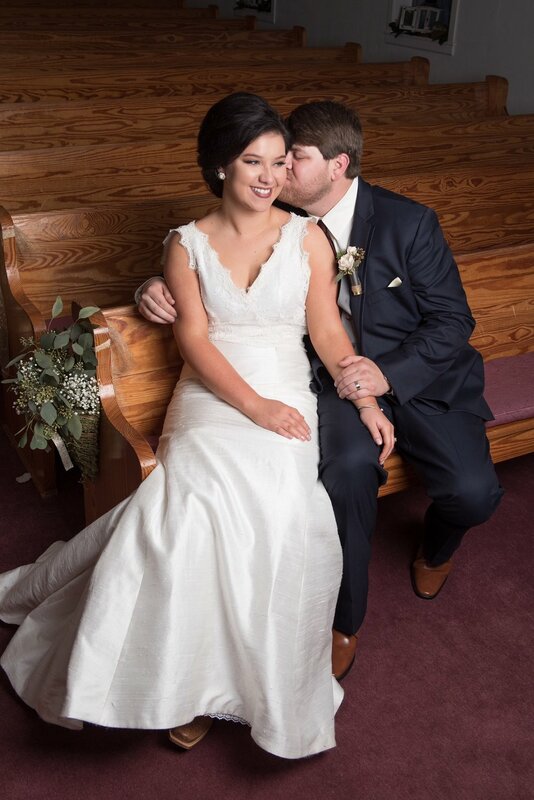 My dress was breathtaking and more beautiful than I had ever imagined! The day I found my dress, I wasn't even planning on trying anything on. I was actually there to see the Changing Room and book it for my wedding venue. Everyone was so nice and encouraging that I decided to try on dresses, and I fell in love with the very first one. Even though I found the perfect dress so quickly, my mother and I were having such a good time we ended up hanging out and chatting with Joy and Liz for almost two hours. 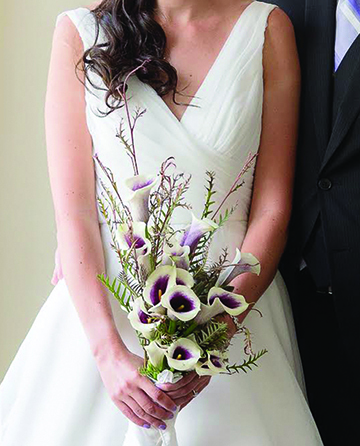 Joy and Liz really know how to create a welcoming and comfortable environment for nervous brides. I would definitely recommend scheduling an appointment to go meet with these special ladies! I cannot say enough great things about the ladies and my experience here! I had the pleasure of working with Joy and she is an angel sent from above! This was my eighth bridal salon visit and I was losing faith in finding my dress. Joy was so kind and a dream to work with. She didn't let me settle in one style and helped me design my dream dress. I was also able to speak with Heidi and she brought my vision to light. Other salons will ask you what you like but have to work within modification limits. It is hard because they try to push you in a dress when there are still parts you don't love. Heidi asked me what my vision was to the last detail and really cared about what I wanted. These ladies are amazing and by far the best. I can't thank them enough! My experience at Heidi Elnora was nothing short of amazing! As soon as you walk in the door, it is the easiest most relaxing experience. Heidis team are all so encouraging but also so on top on finding your perfect dress. They won’t stop until they feel like you feel great. They are all over helping you and hearing all your crazy bride questions and requests. 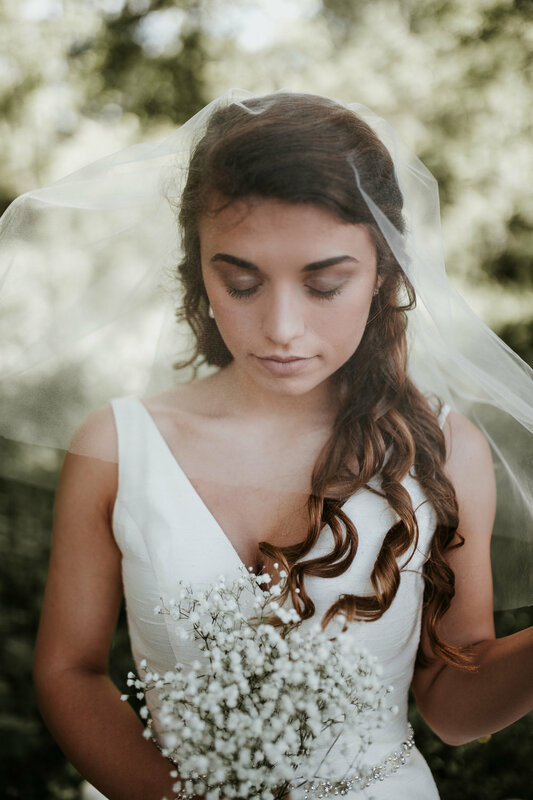 There is nothing worse than going into a bridal shop and feeling uncomfortable and holding back on questions because you feel like you don’t have enough time or they are looking at you like make a decision. You won’t even taste that at Heidi’s shop. You will feel welcomed and they are open to as many questions and ideas that you have. I felt like I was honestly going to a friends house everyday I walked into the door. Who wouldn’t want that! I've loved weddings since I was a little girl; my mother is a wedding calligrapher and always had fresh flowers in the house. That being said, I was always more interested in the invitations and bouquets than the dress, until I walked into Heidi Elnora. The entire experience, from trying on the first dress, to the final fitting of my own, was my favorite part of wedding planning. Liz, Joy, and Carolyn (you can just say "The staff" if you don't want to put names in) felt like close friends and family from the beginning, and I looked forward to every appointment because I felt so treasured and beautiful at every single fitting. I am still amazed at the talent of these ladies- they truly work magic with every stitch. 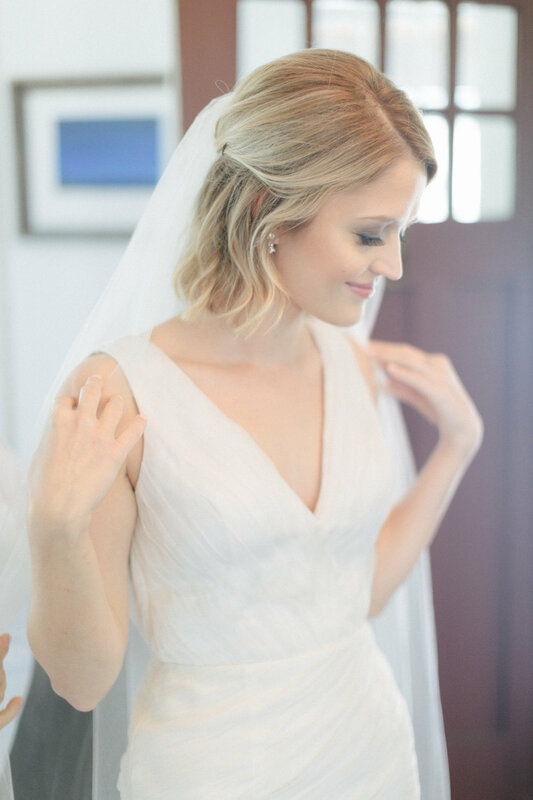 On our wedding day, I felt absolutely incredible in my dress, and it was extra special knowing every detail, down to the last lace appliqué, was lovingly stitched by incredible women right here in my favorite Magic City. From the moment I opened the door I was greeted with a warm smile and a pleasant hello. 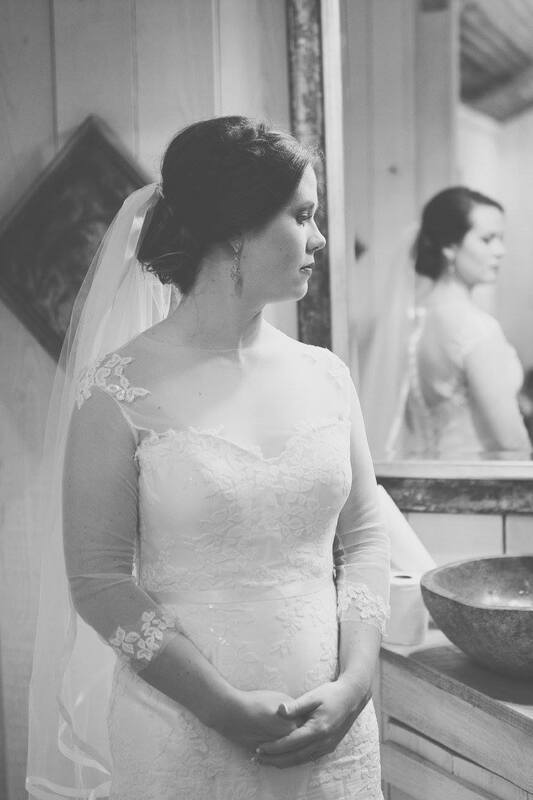 Being a bride with curves my experience at Heidi's was stress free and a positive one. My dress is Beautiful and my experience was just as beautiful. I Love love love my dress and EVERYONE at Heidi. From something new, something blue, I had Mrs. Heidi with me. I had a wonder experience at Heidi Elnora Atelier. One of the best parts was the staff, they really showed enthusiasm and compassion towards my wishes as the customer. I never felt like I was just another bride or dress, they really went of their way to ensure that I felt like part of the Heidi family. Cannot say enough great things about this place and their team! Visiting Heidi Elnora Atelier was one of the best experiences I've had. From the minute you pull onto the street, your whole mood changes. I walked through the front doors to be greeted by Elizabeth, who was an absolute pleasure to work with, and I couldn't believe my eyes. Everything was absolutely beautiful and you could tell everyone there truly loves what they do. The website made dress shopping so easy. I was able to go online prior to my appointment, pick out my favorite dresses, and I had a list for Elizabeth when I walked in the door. She set me up in a fabulous dressing room, grabbed all of my favorite gowns, and we immediately started trying them on. Sure enough, the one I'd been eyeing all week was my favorite and I couldn't live without it. Elizabeth was open and honest with me, and helped me make my decision with absolutely no stress at all. 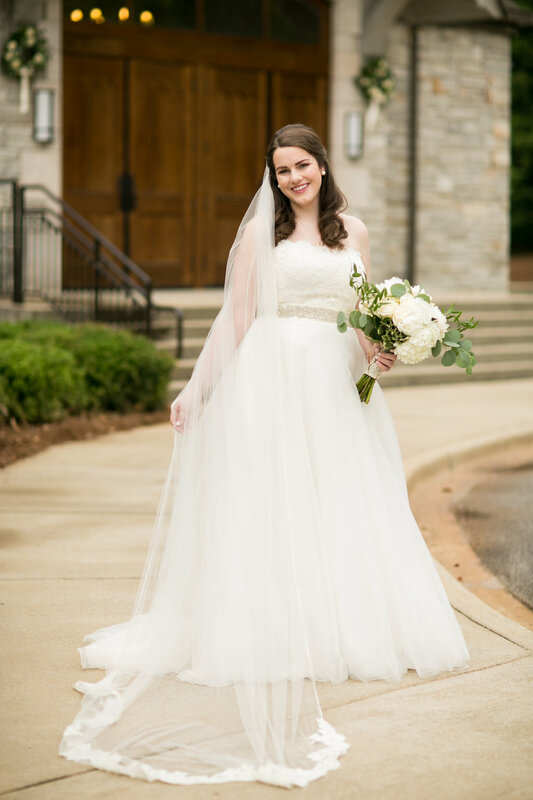 I never thought I'd be so confident in a dress decision, but Elizabeth and her team made the whole process so easy from the way they clamped the dress to give me the full effect to the way they described what the alterations would be like. Their team was fabulous. They even were texting Heidi pictures of my dress options for her approval and suggestions. They celebrated with me afterwards and provided champagne to me and my friends. I felt guilty for being there so late and knew they probably wanted to leave, but wasn't surprised when they said they were going to stay later into the night to sort accessories and have fun. Their team was truly amazing and are the kind of people you'll want to see over and over again. I can't wait to go back and visit with all of them soon. When you walk in the front doors of Heidi Elnora Atelier you immediately fall in love with the space. It is both elegant and beautiful, and exactly what you would imagine when trying on wedding dresses! The build-a-bride collection is perfect for anyone unsure of what they are looking for, like myself. 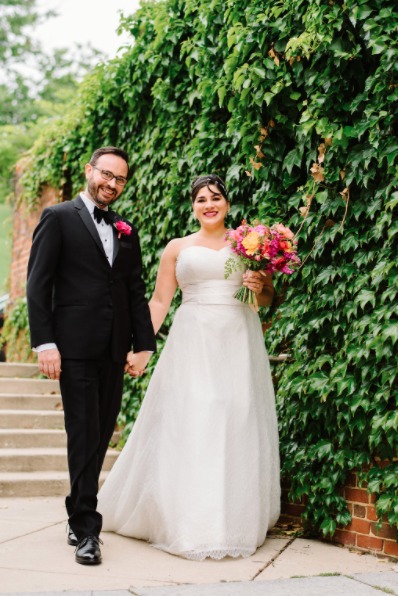 I was able to customize the PERFECT dress with the help from Elizabeth, who is seriously AMAZING! 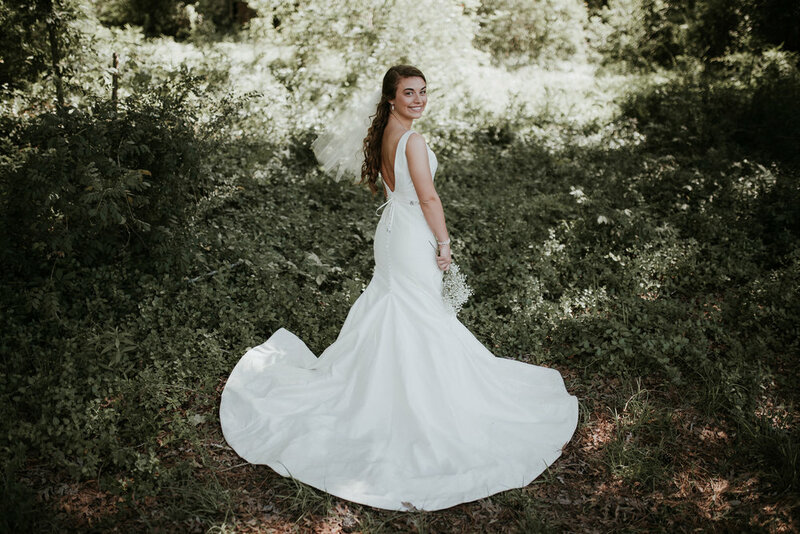 I was the only one in the store that day and was able to pull everyone out of the sewing room and upstairs to get their opinion as I walked down the hall in multiple dress options - an experience you will NEVER get anywhere else! I cannot rave about the Heidi team enough. If you haven't already, do yourself a favor and stop by! All in all, though maybe an unconventional client, everyone made me feel like family and look like a Bride. My experience at Heidi Elnora was more than I expected. I started out at a sample sale, and was completely floored to find the most gorgeous dress and the absolute best people. When I got my admittedly large group together for an appointment to complete my build-a-bride look Liz and Joy were kind enough to find everyone a seat. When we found the Middleton top that I ended up with, we all cried, including Liz! Thank you to the whole Heidi team for helping me find the perfect wedding dress. The Heidi Elnora team is absolutely fabulous! I highly recommend her to any and every type of bride; she has a dress for all types and if not she can create what you desire! I absolutely loved working with Elizabeth! She was able to understand my vision and help me create my dream dress. Goodness I seriously cannot say enough good things about my experience here! The store downtown is stunning and that is an experience in and of itself. Heidi literally read my mind and all the things I had always dreamed about in a wedding dress but couldn't put into words. She is so sweet and takes into consideration and helps you out with exactly what will fit your body type. Every single person that worked there was so kind and friendly and made you feel like a million dollars. Heidi, Elizabeth and the entire team go above and beyond to help you feel beautiful! She is amazingly talented and has the kindest spirit. I would HIGHLY recommend shopping here! I will start off saying I am not the type of girl who had her wedding planned since I was a little girl. I had no clue what I wanted. The thought of what my dress would look like never crossed my mind until it was time to start looking. Heidi Elnora was by far the best place I walked into. They weren't just trying to sell me a dress. They were trying to find the look I was going for. They were patient with my very indecisive self and were very honest about what they thought. 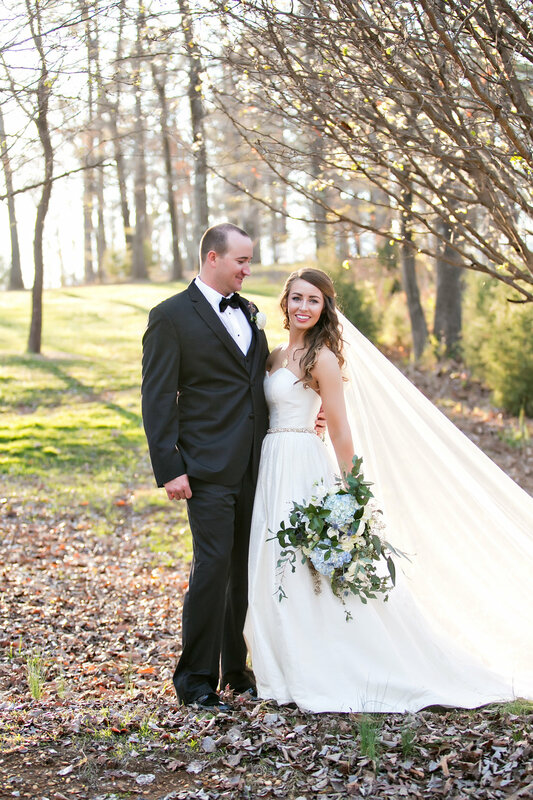 I highly recommend finding your dress at Heidi Elnora! They are by far the best people you will work with during your engagement season. Heidi and her staff made my experience wonderful. They were enthusiastically thrilled for this exciting time in my life. They were very helpful and went of the way to make sure my dress fit me perfectly. 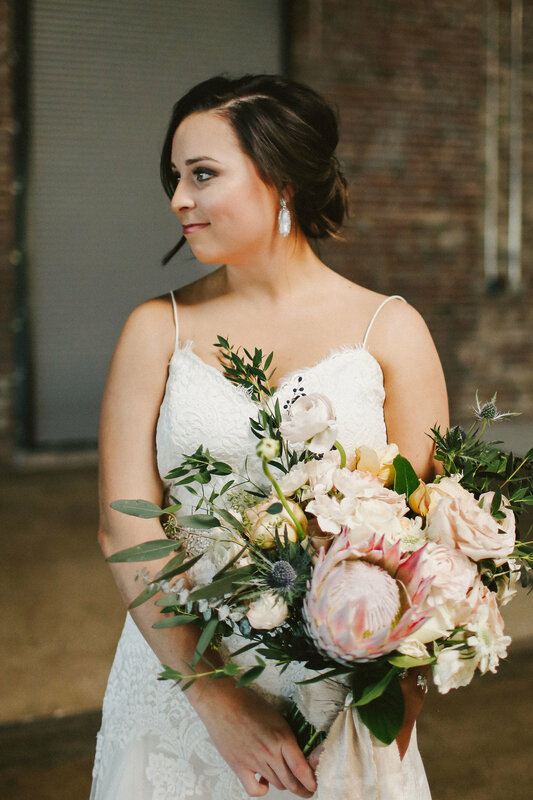 I felt stunning on my wedding day— it was the best! 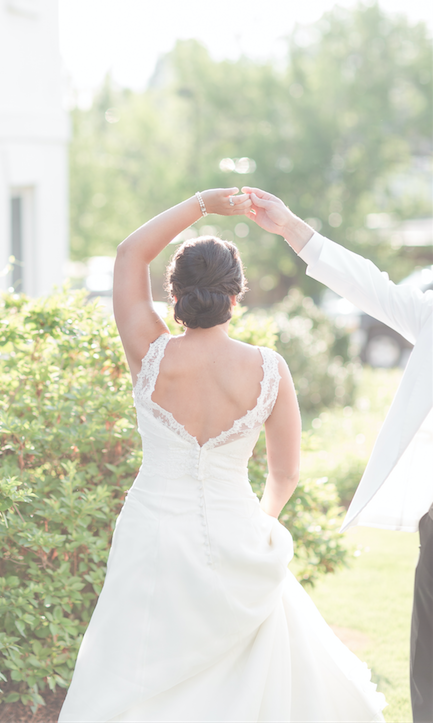 When I went to heidi elnora, I was the bride who knew EXACTLY what she wanted, but I was unable to put it into words. Thankfully, Elizabeth and Heidi were so patient with me and helped me every step of the way. They took my dream of combining family wedding dresses to make my own. I am so thankful for their help and undivided attention to me and my mom. 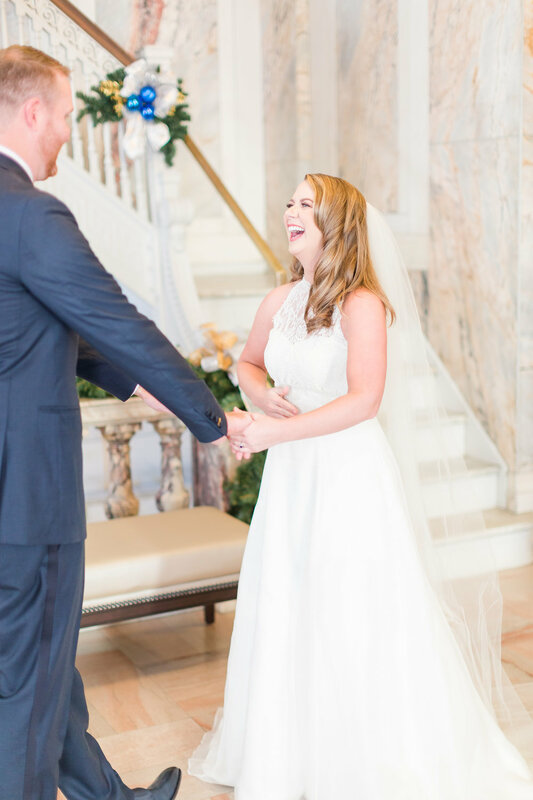 The service and experience at heidi elnora is unparalleled, and I can't imagine getting my dress anywhere else! 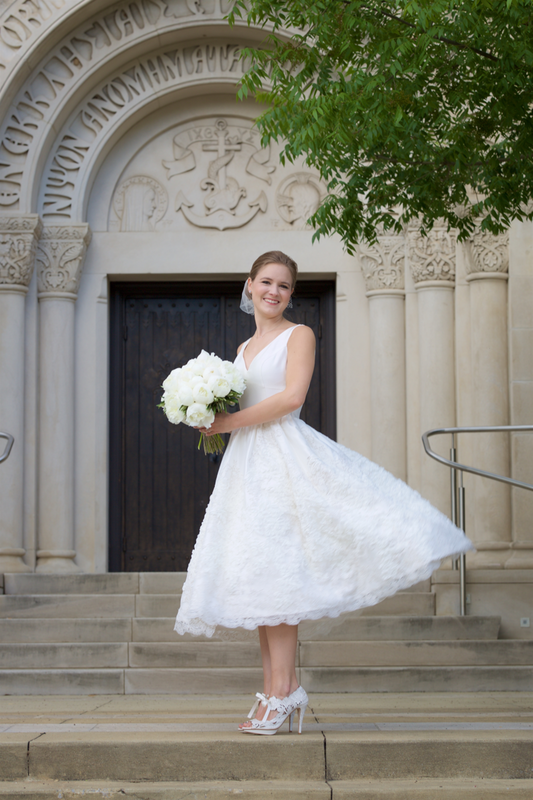 Thanks for the custom build-a-bride dress, heidi! I can't wait to wear it! 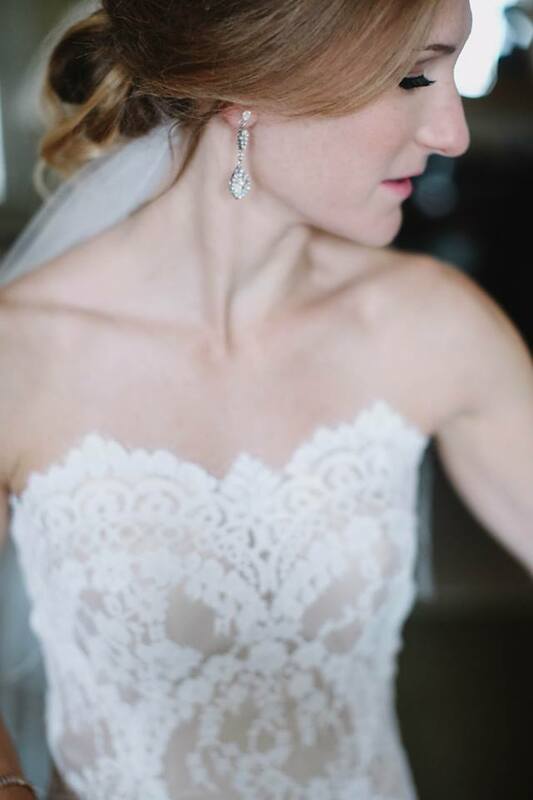 Working with the Heidi Elnora Atelier team was a dream -- I could not have envisioned a more perfect dress! Thank you! 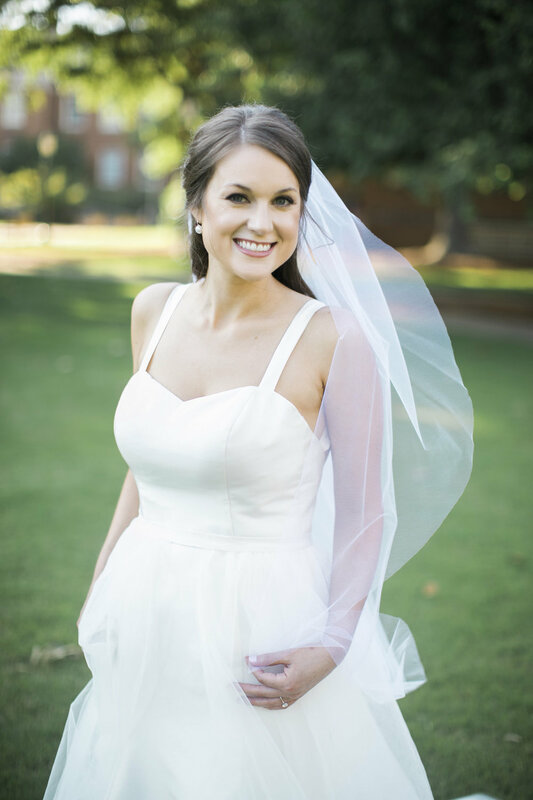 For any bride in the Birmingham area (or any reasonable distance), do yourself a favor & make an appointment with Heidi Elnora today! Truly, she and her fabulous team (LOVE Elizabeth!) offer up the quintessential bridal experience (really, how many brides can say that they got to meet and work with the designer of their gown?). Not only does Heidi have a gorgeous [constantly evolving] collection of gowns, but the opportunities for customization are endless. To top it all off, her downtown atelier is STUNNING and worth a visit alone. Needless to say, we are SO lucky to have Heidi in Birmingham! Don't choose your wedding gown without her. 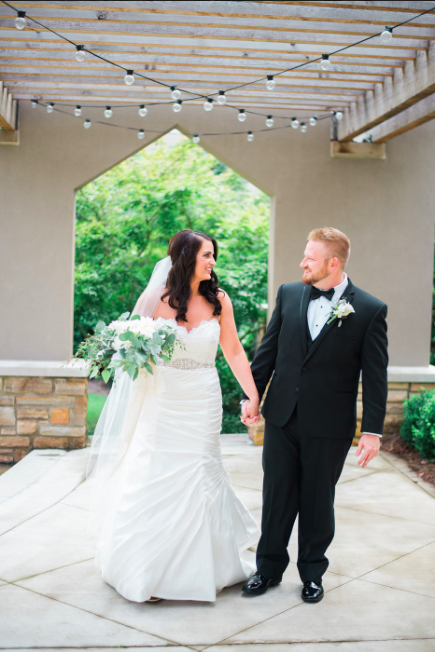 I had an absolutely wonderful experience at Heidi Elnora! I couldn't have asked for a better one. 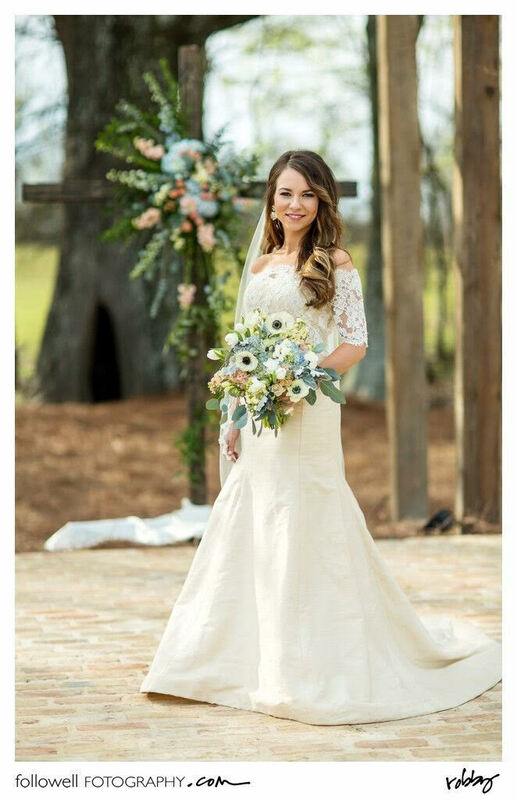 Elizabeth truly has the bride's best interest at heart and I highly recommend this bridal salon if you are looking for top notch customer service and of course the most gorgeousdresses! This was the absolute best dress shopping experience I had. They were so helpful in helping me create my dream dress from their build-a-bride collection! My consultant Elizabeth was so great and new what I wanted before I could say! I cannot say enough great things about them! Heidi and her team made choosing my wedding dress the easiest and most fun part of planning! From the warm welcome when I walked in the door to the beautifully appointed space to the way they listened to my ideas, nothing was short of wonderful! 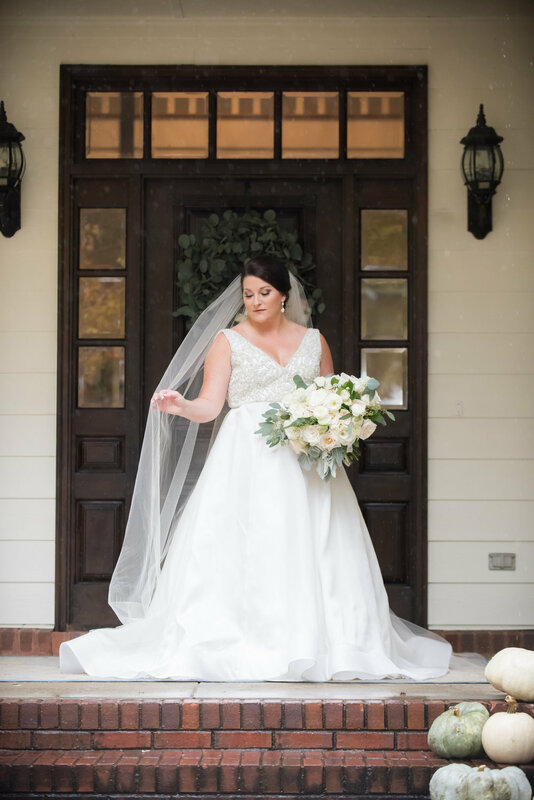 Heidi and Elizabeth put me at ease throughout the process and I had such confidence in their ability to choose a dress that was perfect for me. I was amazed at how quickly they were able to give me a dress with all the components I had envisioned. The talents, kind hearts and fun spirits of the girls at Heidi Elnora Atelier are unmatched and I am so thankful I was able to work with them! 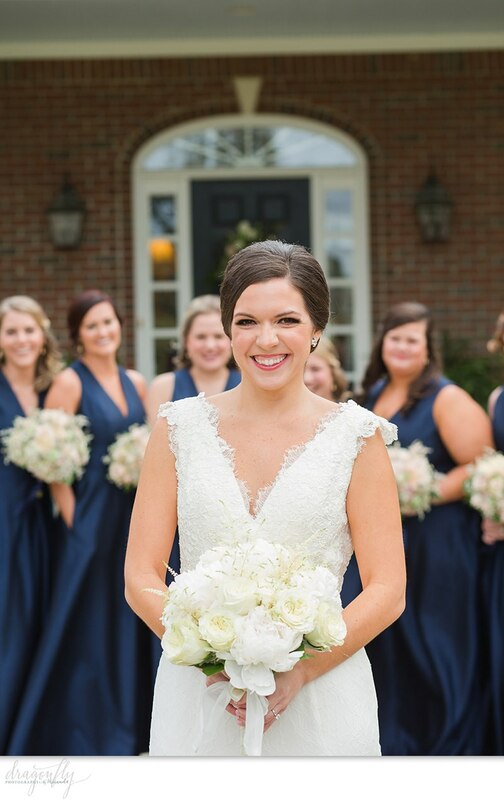 "Their service is unparalleled and they truly make you feel like a top priority...I could not imagine not having the Heidi Elnora team be apart of making my day so special." 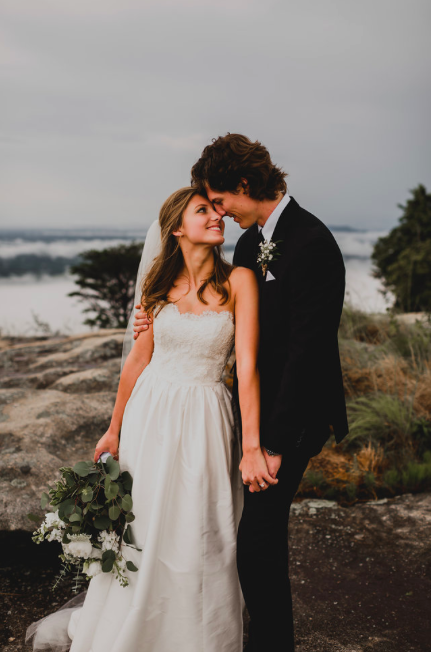 Thank you, thank you, thank you for making such an amazing dress, and for making the experience of finding it so lovely. I felt completely perfect in it in every way! "Winning the Build A Bride contest was such a blessing. 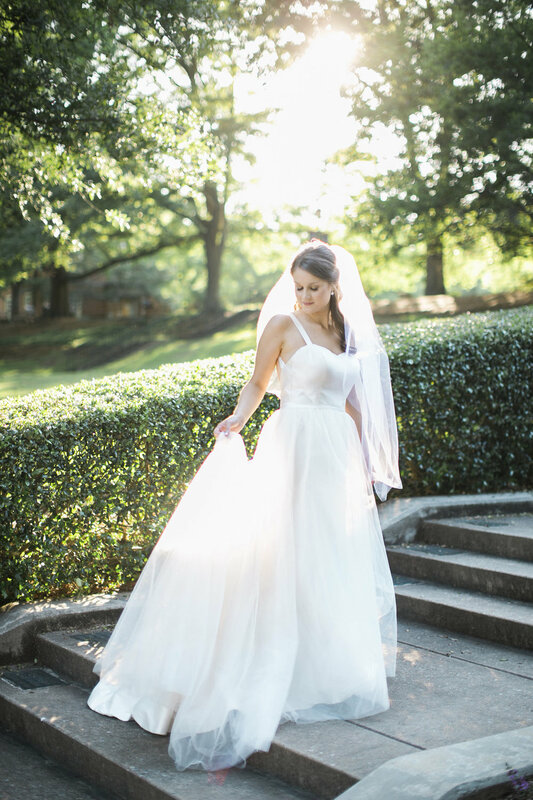 I never dreamed it was possible to have the perfect dress until the moment I saw mine. Heidi and her team do NOT disappoint. 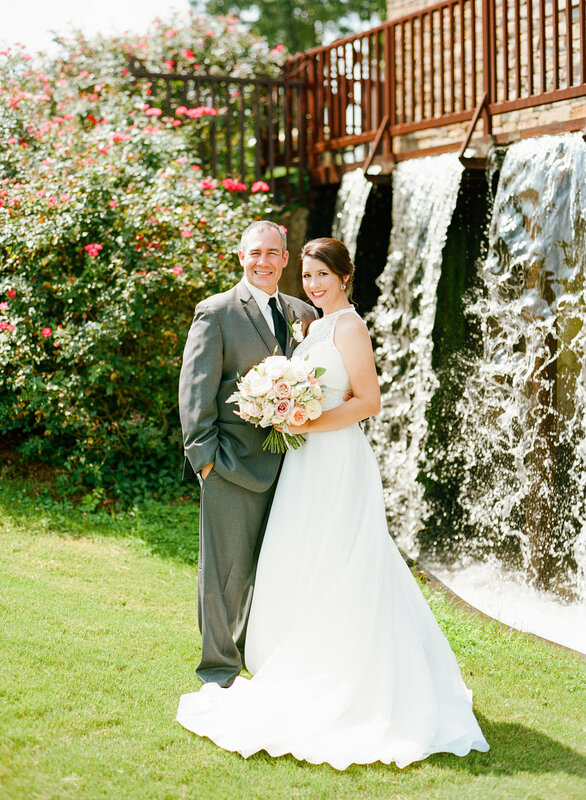 I am so thankful for their kindness and helpfulness throughout the process of choosing a dress and having it made for me." 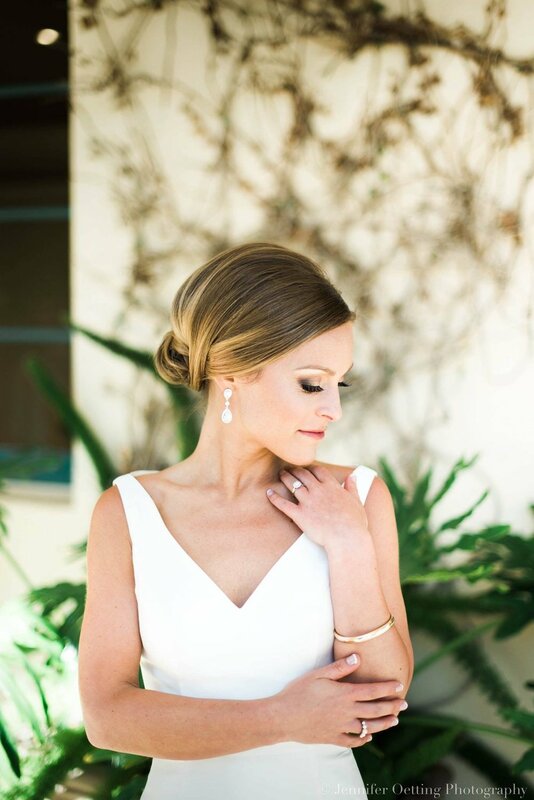 "I entrusted Heidi Elnora Atelier with one of my most cherished pieces, my grandmother and my mother's wedding dress. My grandmother wore the dress in 1960, my mother wore it in 1987, and now it was my turn. 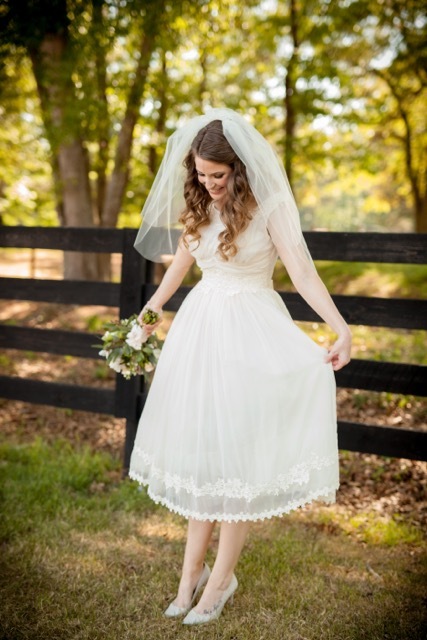 Heidi, Elizabeth, and their team took a simple 50's style dress and transformed it into the dress of my dreams! 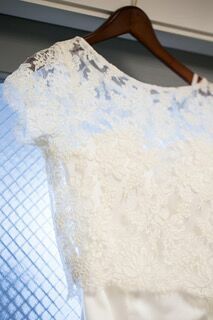 I was even fortunate enough to add a little lace from my mother- in- law's gown. I could not have dreamed up a better experience than working with Heidi and Elizabeth! 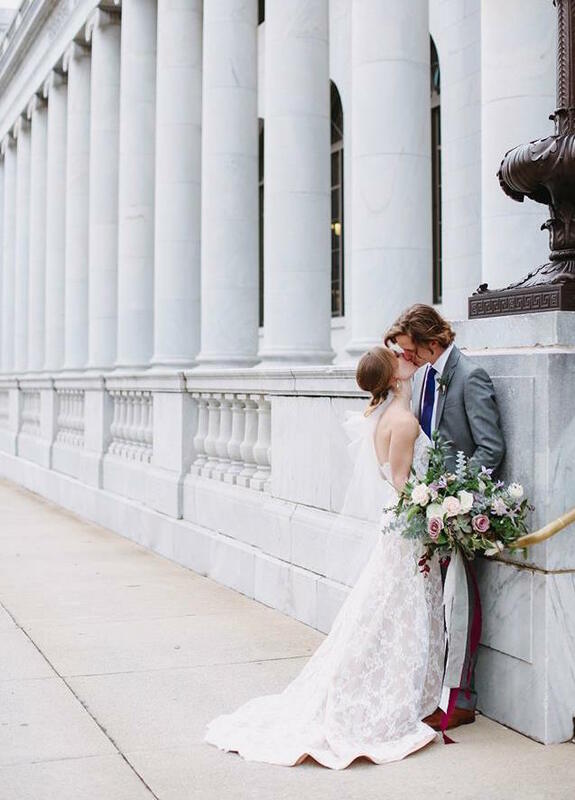 Thank you for helping to make me feel like the most special bride in the world!" Heidi worked her magic like my fairy godmother. I showed her pictures of several wedding gowns and pointed out my favorite features on each one. 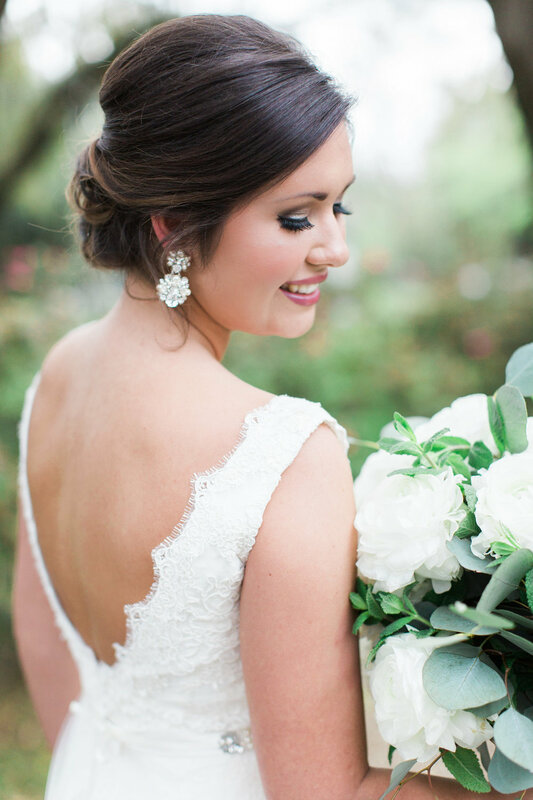 She took those different details and turned them into not just one but two dream dresses! 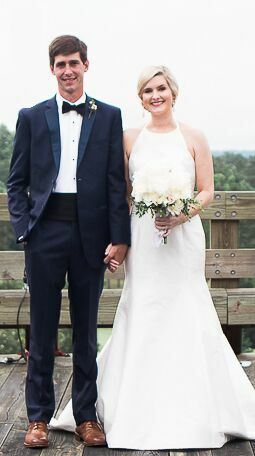 My top was separate from my skirts, a trained ball gown for the ceremony and a more form fitting look for the reception. I wanted an off the shoulder top without restricting my arms, a low dip back, and thick white lace. Watching her sketch up the vision was such a unique and special experience. Her assistant, Elizabeth, was so sweet and easy to work with as I tried on different styles and had dress fittings. Wearing a custom Heidi Elnora design was a dream! 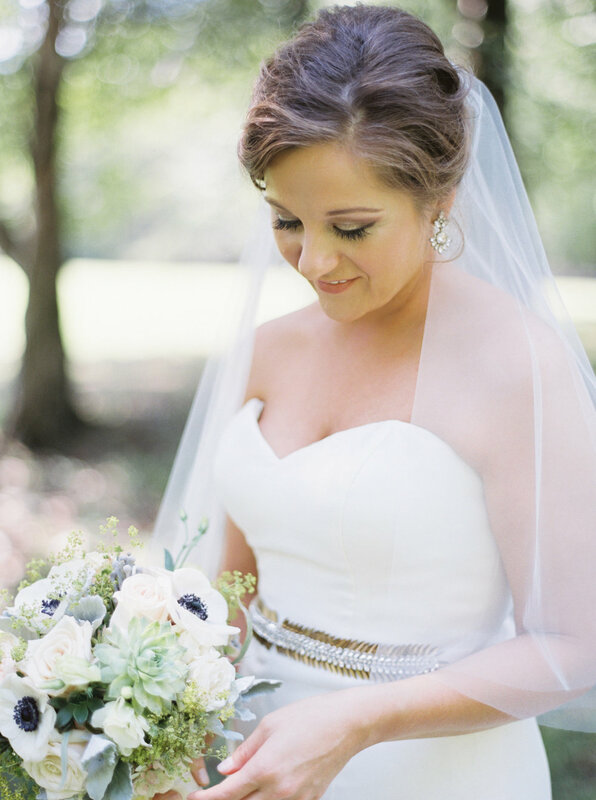 "Heidi was wonderful to work with and helped me create my dream dress. I went all over town trying to find a simple and classic dress that did not overwhelm me and fell short. 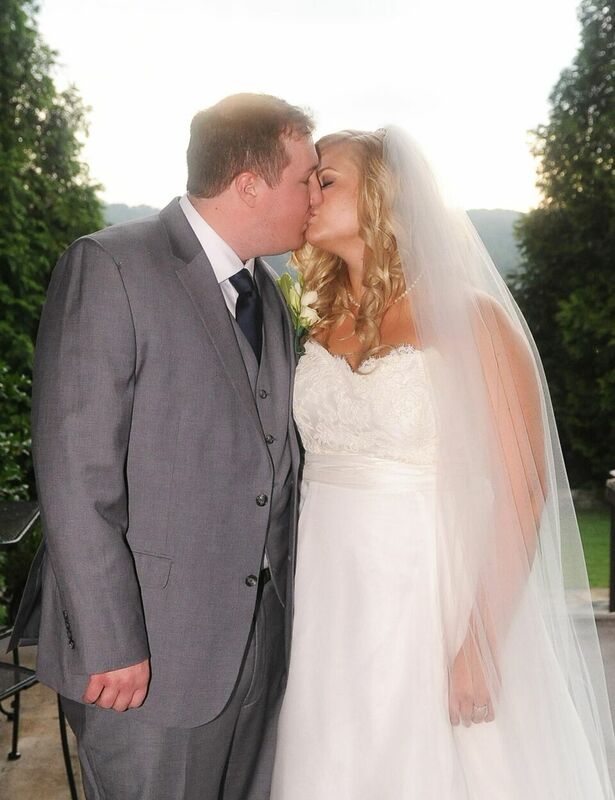 I was referred to Heidi to create the dress of my dreams and her Build-a-bride line allowed me to do that!" Absolutely, hands down, would never want to have gotten my dress anywhere else. The staff was so friendly and was going to stop at nothing to make sure I found my perfect dress. The Build- a- Bride line has got to be the smartest, best thing ever! I cannot say enough about howmuch I loved my expericence. So happy to be a Heidi Bride! 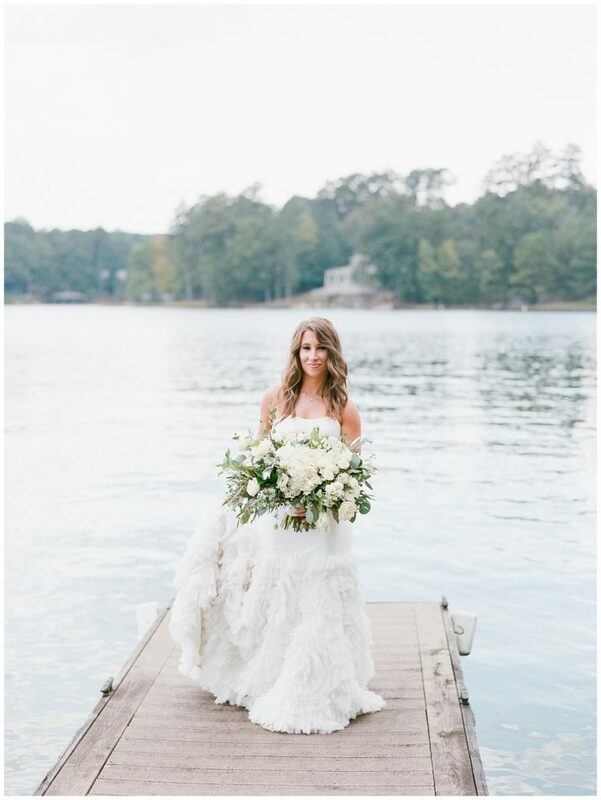 "My mom and I traveled from out of state to visit bridal salons in Birmingham after looking in many other places with no luck. After a disappointing morning, we visited the Heidi Elnora Atelier and were blown away! The moment we stepped inside, my mom exclaimed 'your dress is here! I feel it!'. She was right! I was only shopping sample dresses but that didn't stop Joy and the rest of her team from treating me like a princess. I selected a sample dress and asked for a few modifications. They graciously spent over an hour with me customizing my stunning gown. What is even better...they kept everything in my budget! These ladies are the real deal! I left feeling like I was a part of the family. They made the entire experience nothing short of a dream! I can't thank them enough!" 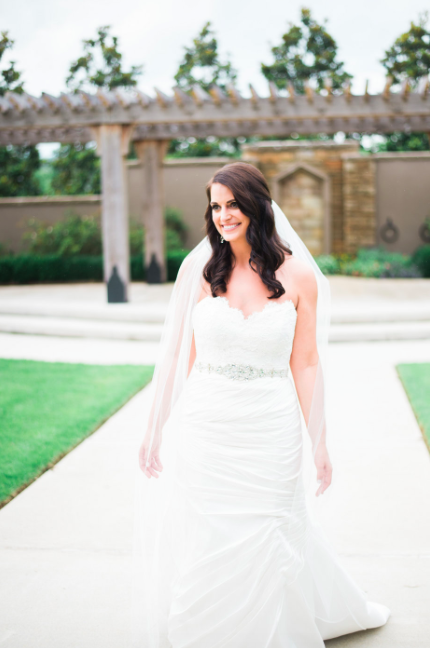 "Heidi Elnora gave me the opportunity to create my dream wedding dress. Working with Elizabeth and Heidi was hands down one of the greatest parts of planning the wedding. 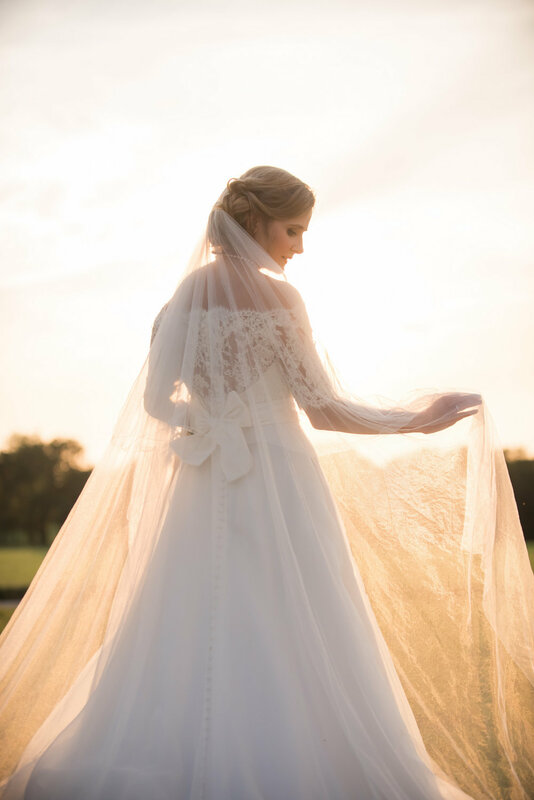 The talent, creativity and hard work that the team puts into creating a dress from the build-a-bride collection can only be described as a beautiful and complex masterpiece. These women have dedicated so much of their careers into making the process a wonderful experience for brides and I was a recipient of their wonderful care and talent. Having my wedding dress read heidi elnora Atelier on the label is such SUCH an honor." 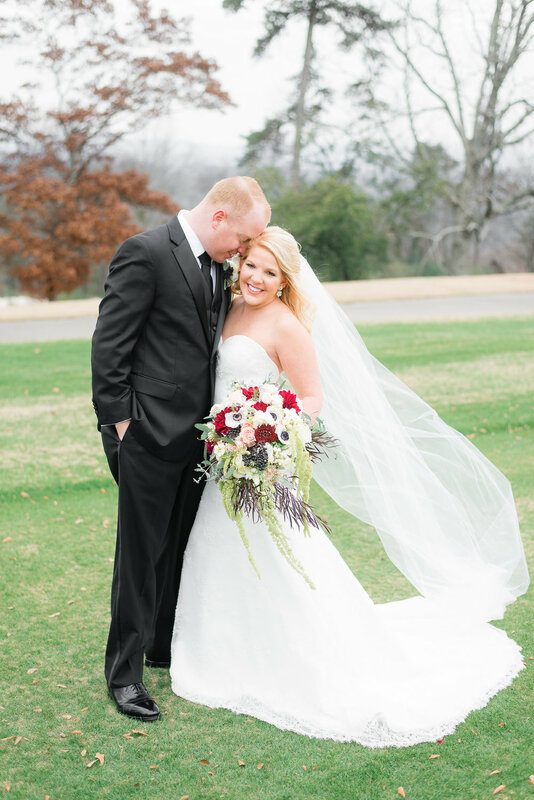 "I had the absolute BEST experience at Heidi Elnora! Her boutique is incredibly charming, and her dresses are heavenly. 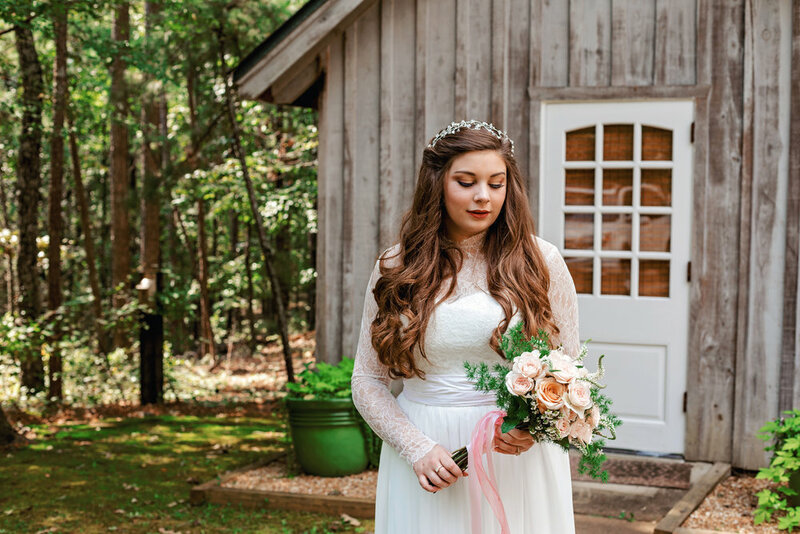 The Build-a-Bride line is genius, and I couldn't have been more in love with my dress! Her staff is friendly, caring, and attentive. I truly felt like I was part of their family. 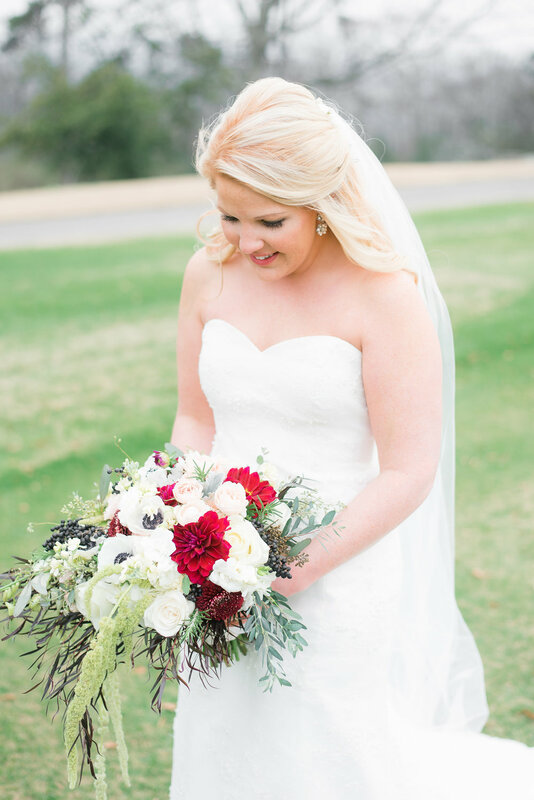 Hands down, I would recommend Heidi Elnora to every bride I know (and I already have)!" "I cannot say enough about how talented Heidi's team is! I had no idea what style of dress I was looking for when I arrived at my appointment and their build-a-bride line was me the perfect fit for me! Elizabeth made sure I was taken care of every step of the way. 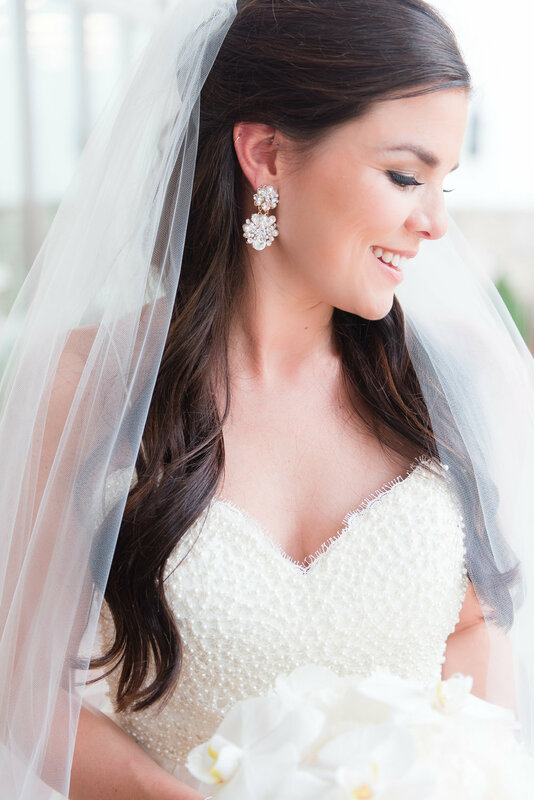 My experience was incredible from start to finish and was truly one of the highlights of my wedding planning process! 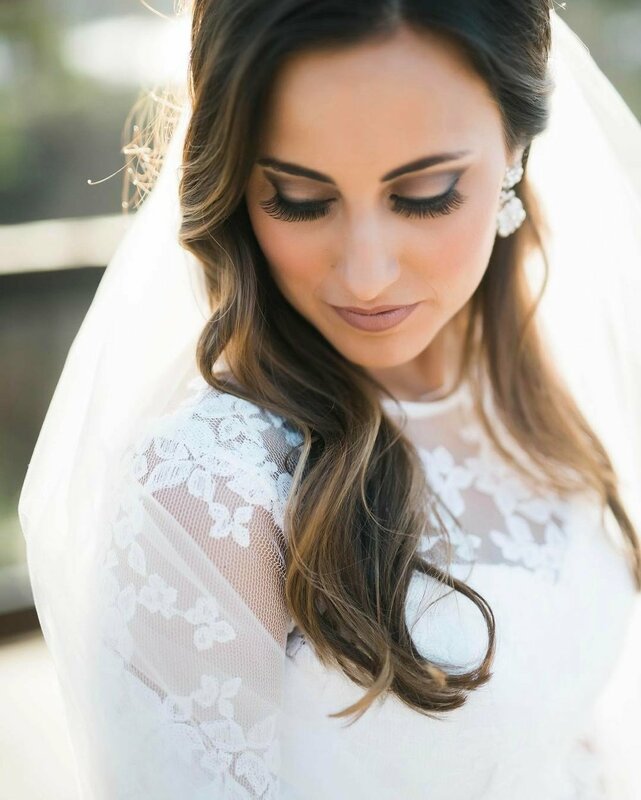 I am so honored to be a part of the Heidi bride family!" It’s so special to me that I have such a beautiful dress from y’all. 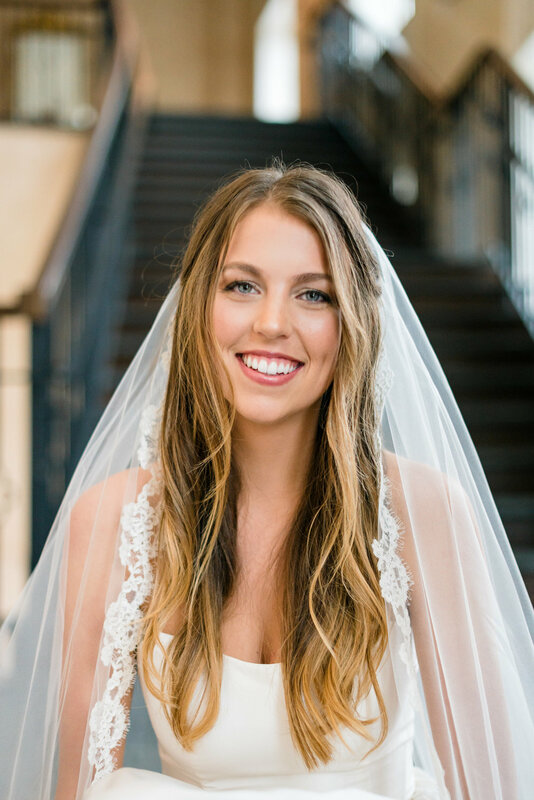 "My experience at heidi elnora Atelier was one of the best of my entire wedding planning process! The team worked so hard to make me feel beautiful in every dress I tried, but to also ensure that I got the dress of my dreams. I wanted a dress that was trendy and bohemian while also being traditional and simple, and I found exactly that with Heidi's Hello Darling collection. No request was too big and no small detail was too small for them. 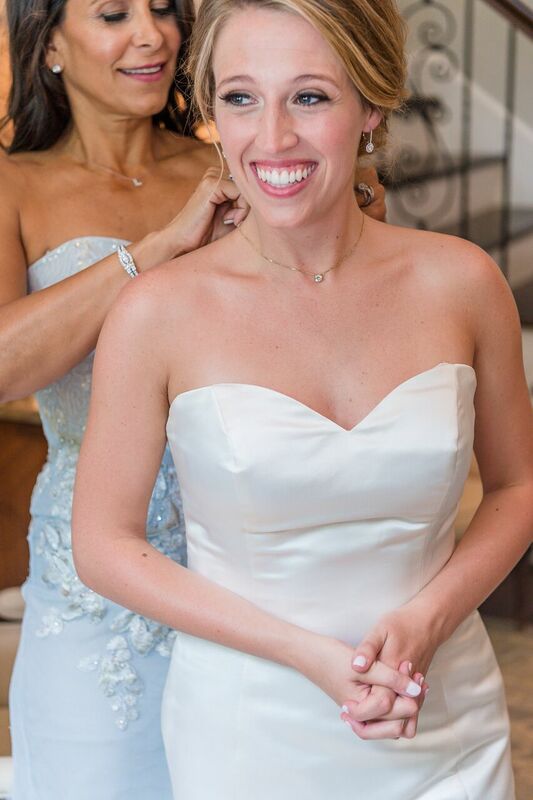 The entire team just goes above and beyond in every single detail and when you become a #heidibride, you truly join a family. I could not have been more pleased with my experience!" 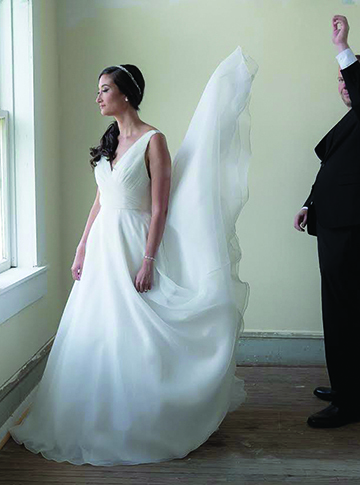 "Simply putting on a wedding gown is only part of the bridal journey. 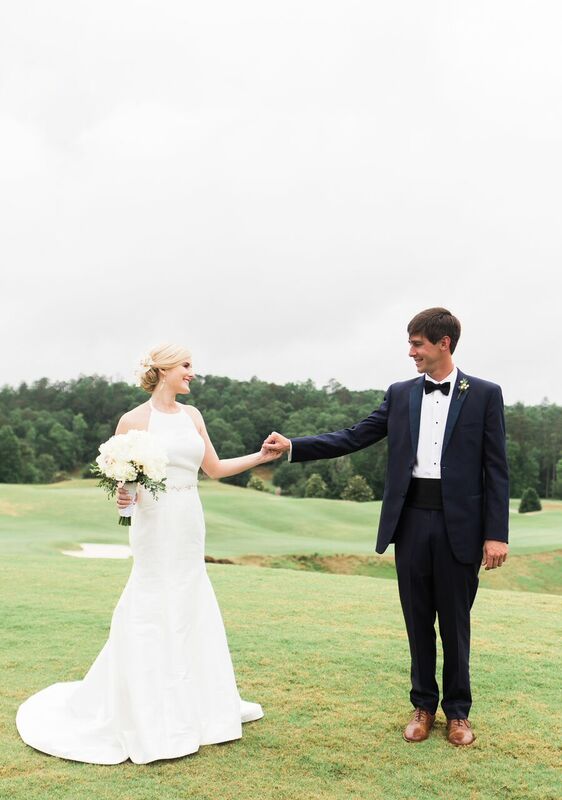 It's about the experience and people who help you find the perfect gown that truly make you feel like a bride. 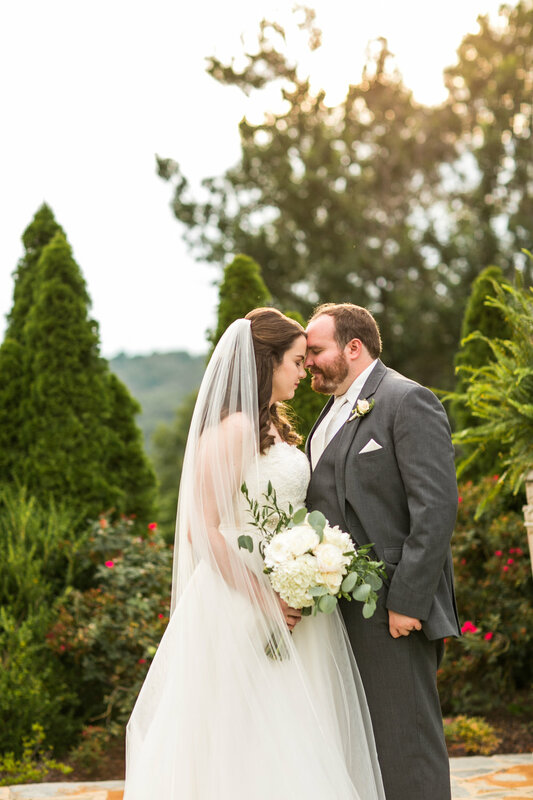 Everyone at heidi elnora Atelier was so kind and made all my bridal dreams a reality!" 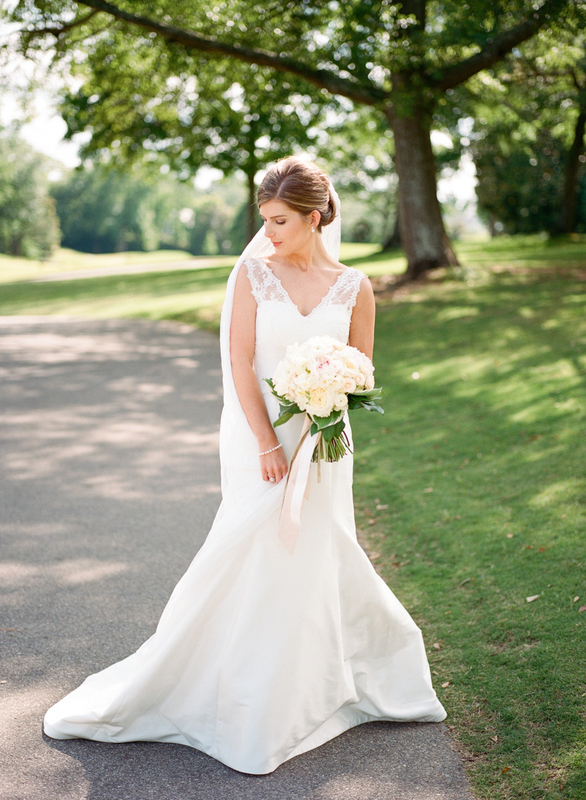 "heidi elnora was able to create the dress of my dreams that I had envisioned ever since I was a little girl. 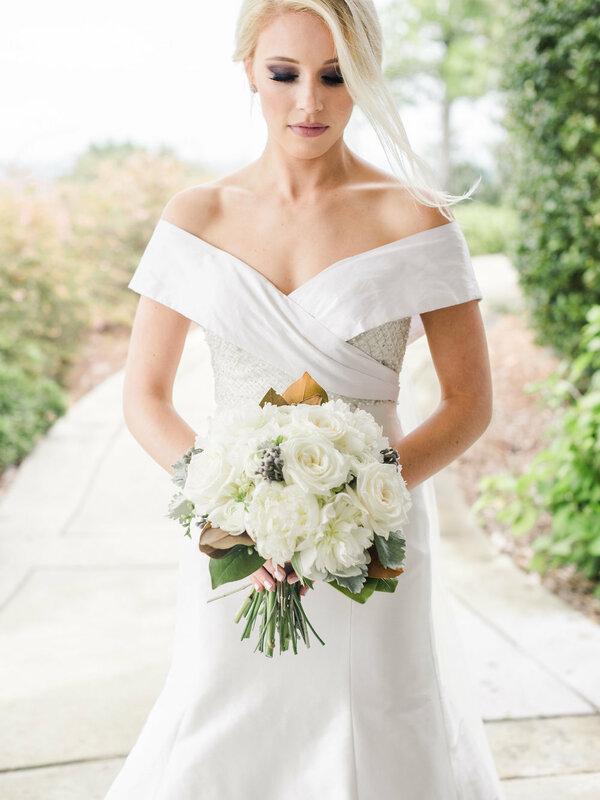 I had always dreamed of a dress that was timeless, elegant, and brought out my inner beauty and I found just that in building my dress with heidi and her team. This is the dress that I will treasure for a lifetime and a piece that will always remind me of the most important day of my life. 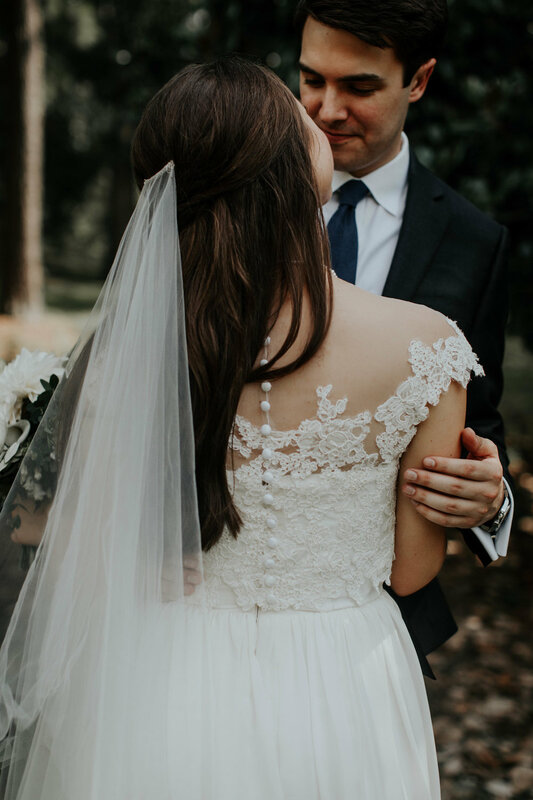 I was honored to wear the name of heidi elnora on my wedding day because every detail was thought, drawn, and stitched perfectly from start to finish. Working with Heidi, Elizabeth, and her staff was such an unforgettable experience and I am so grateful to have been given the opportunity to work with everyone and for all the relationships made throughout the process. A simple "thank you" will never be able to express how much I appreciate all of you at the Atelier."